So one of my preemptive New Year's resolutions is to update this thing more than once ( or even twice! ) a year. This post is a token gesture towards that end. 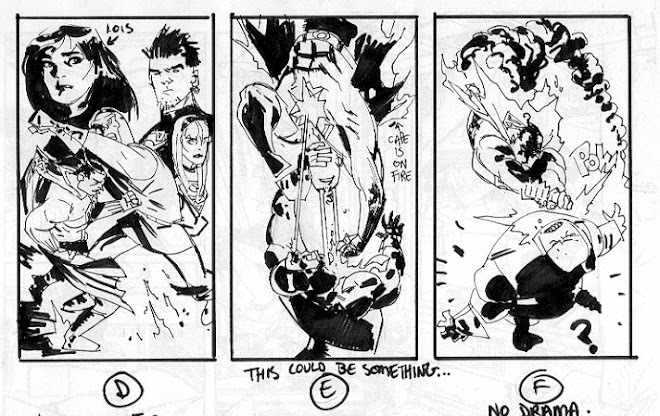 The legendary Vince Toscano recently made a break for it and I handed this to him on his last day at Lucas Animation. 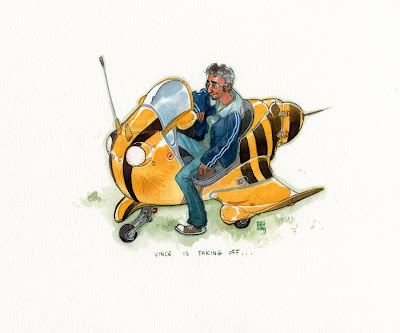 He'd mentioned he'd enjoyed the flying machine stuff I did for 'Battle Milk vol 1' ( Check out the link on the right ) so this seemed apt, it's pencil and liquid acrylic, to whom it concerns. There's a real update on the way, sometime this century. Nothing to see here at the moment, though, thanks. 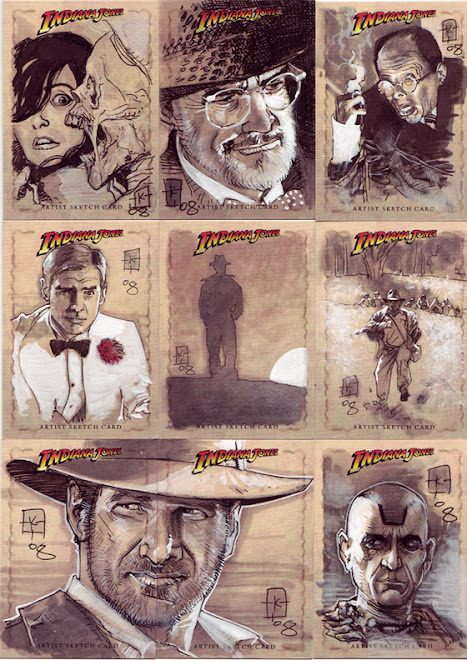 Recently I did a few more sketch cards for the Topps company. 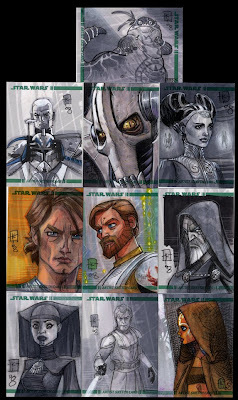 This time around they were for 'The Clone Wars' trading card set. Sixty six to be exact. This is proof that there's always a way to make the nerdiest undertaking even nerdier. 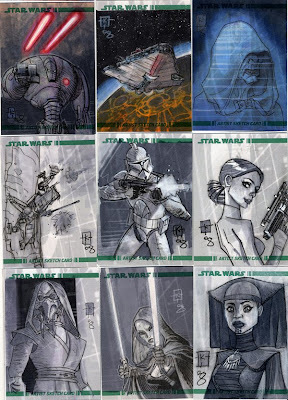 I had fun, sketch cards are a good exercise in working speedily in a small area. 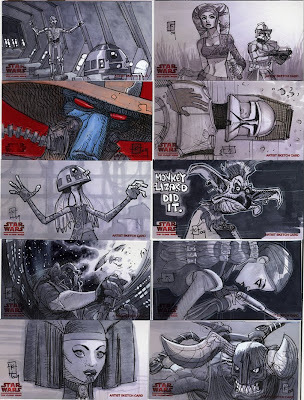 As the deadline approached there seemed to be quite a few heads around the Clone Wars studio bent intently on finishing their quota. I think the crew cards worked out great, although to be fair we had the advantage of being able to scrub through the movie files for ref on our spare time! Sorry about the repetition of some images, the top group are the comp cards that Topps returned to me, the others are a random sample of the batch. Well, it's as I feared, I keep meaning to update but never get around to it. Since it's ComicCon in San Diego next week this seemed like as good a time as any. I wasn't planning on going this year but at the last minute it turns out that I'm part of a panel on 'designing the Clone Wars' so away I go. What's been going on over the last 4 months? 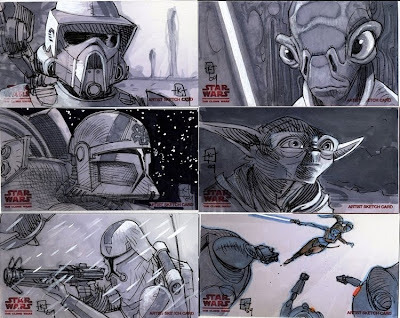 Real life things like a trip to Yosemite National Park which was pretty amazing and work stuff like Clone Wars and Clone Wars-related jobs like sketch cards and one whole comic cover. 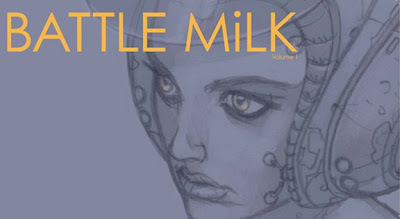 I've also cobbled together some material for a joint self-published art book called 'Battle Milk'. There's four of us involved: Myself, Wayne Lo, Thang Le and Jackson Sze. There's even a website to visit! 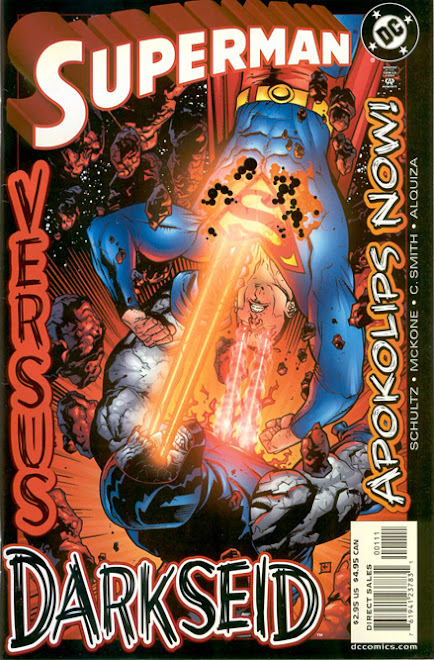 The book's 80 pages, softcover, full-colour throughout. It was hard work but really rewarding, I'm pretty happy with how it all worked out. We'll be at the nervebomb/abysmo booth, pretty near where the big fancy booths like DC are so if you're one of the several million people attending the con this year please swing by. If not, we'll have the book for sale via the interwebs too. For me the best thing about Battle Milk was that it forced me to come up with some new artwork that wasn't commissioned or part of any job, I just made it up as I went along. I need to try and make time to do this kind of thing more often, just drawing for it's own sake. There were some ideas I started but abandoned too, I'll post some over the next few weeks after I flesh them out some more. Still can't believe it's four months since I last posted anything. Where do it go? So it's the day after WonderCon, which, despite the horizontal rain, was fun to visit. 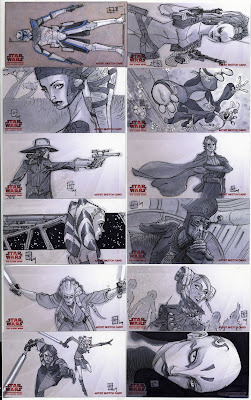 First off I have to say thanks to Dave Filoni, Supervising Director on the Clone Wars, for the shout out during his presentation on saturday evening. The cheque is in the post, Dave. 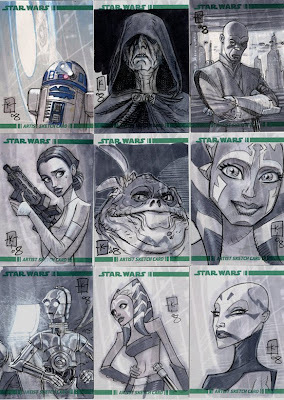 But I still prefer Kit Fisto. 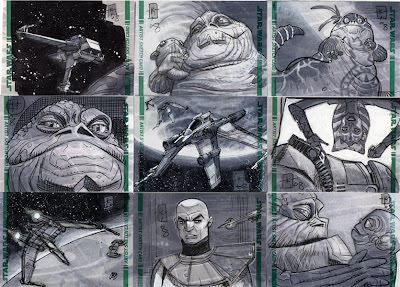 I decided to put up some thumbnails tonight. 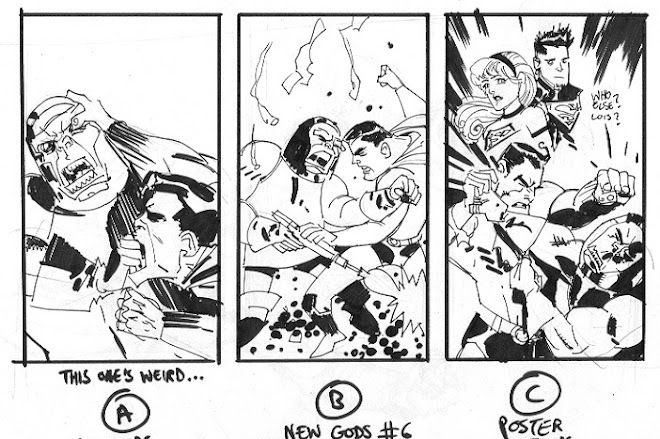 The Superman ones are from a DC one-shot from a few years back. 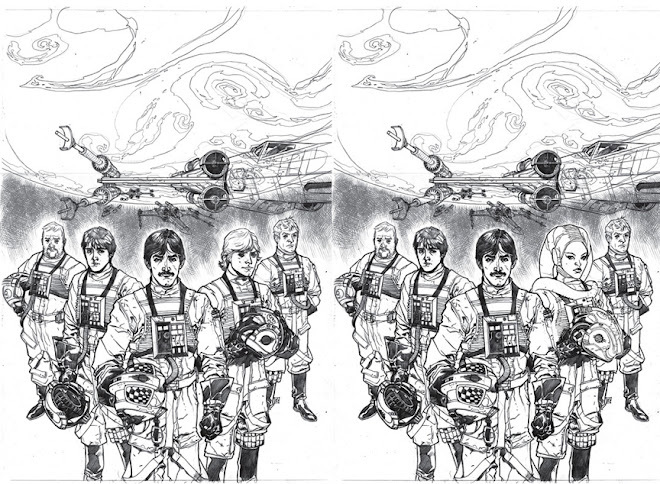 I've posted how the final cover ended up so you can compare and contrast them. 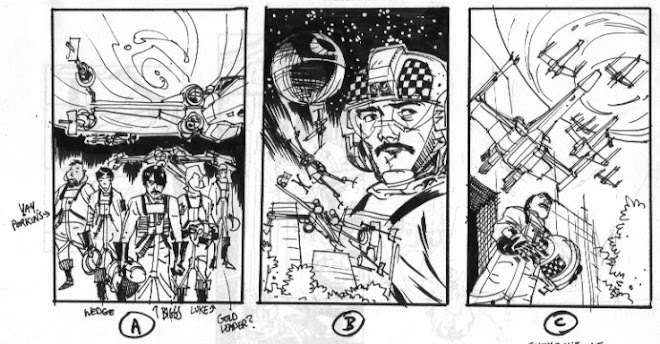 Thumbnails are something almost everyone does and there's usually a really great sketchy energy to them that all too often gets a bit lost when working on the big fancy final version. These are pretty much 'actual size'. They may not be all that glamourous but I think they're fun to look at. 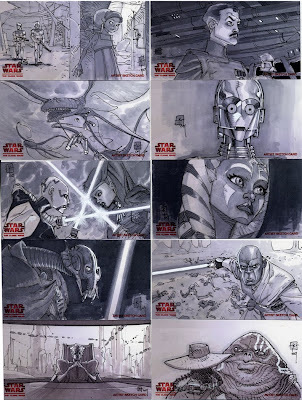 The other images are from an issue of 'Star Wars:Republic' that's been used again for one of Dark Horse's more recent hardcover reprints. 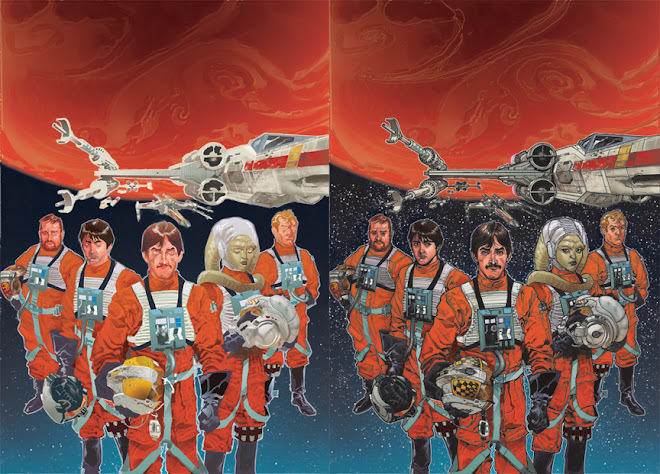 Originally Luke was in the picture, he got replaced by Doc from the Rogue Squadron books at Randy Stradley's suggestion. Then her helmet got revised to match the established one from the comics for the final print version. 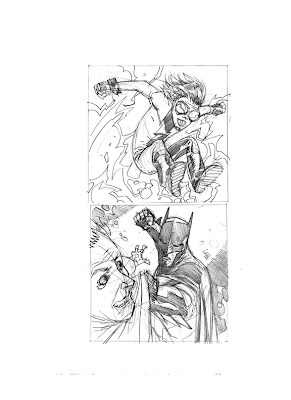 Although I learned a lot about digital colouring while working on this run of 'Darklighter' covers, I like the thumbnail more! Three is better than none, right? 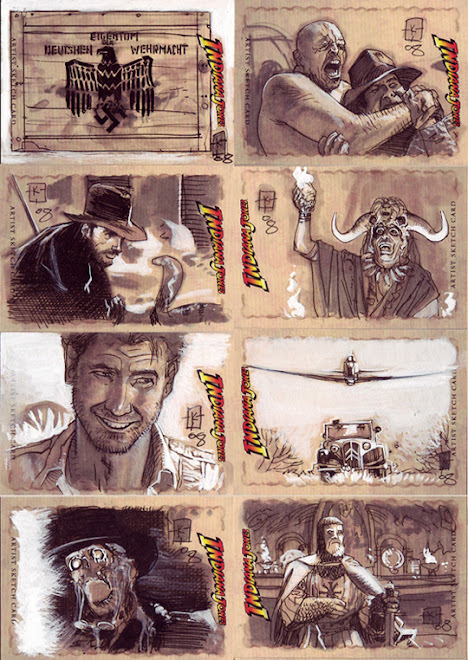 Well, despite lofty ambitions, I only got to colour three of my Indy Heritage sketchcards. 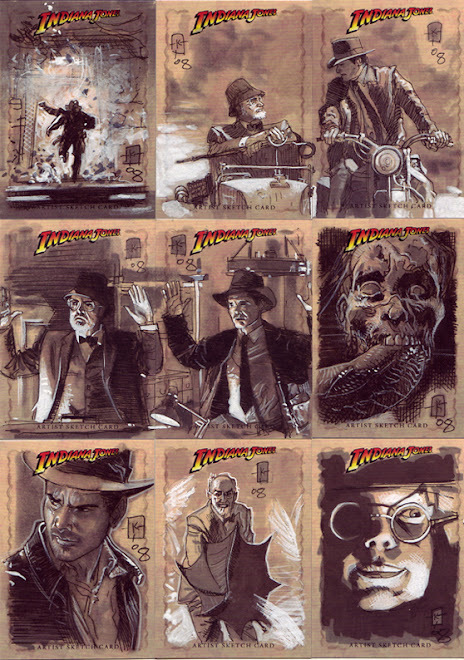 The Marion and Indy are part of the infamous 'returned six' request to Topps but the zapped nazi has been released into the wild. 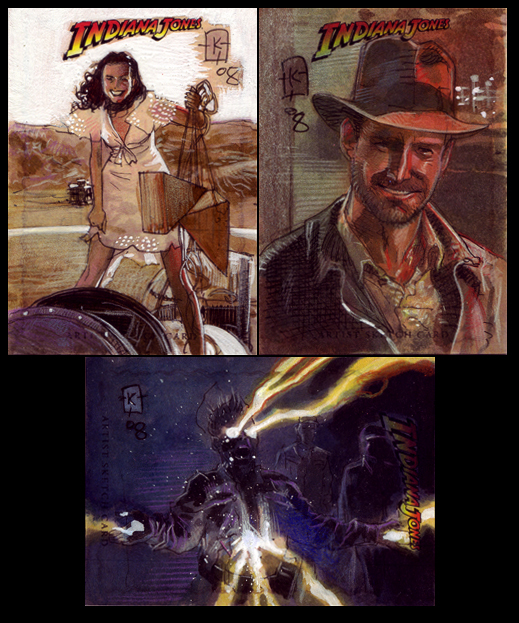 Born and raised just outside Dublin, Ireland, managed to score a green card in the early 90's just before being hired by Dark Horse Comics to work on an 'Aliens' book. I took it as a sign and have bounced around the States since, living in Portland OR, Brooklyn and currently 'sunny' San Francisco. I wish I could say there was a Master Plan.